We spent six months perfecting our cookie recipe. Most cookies you’ll find out there are actually more of a biscuit – they are brittle and will snap when you bite into them. However ours has a lovely chewy texture, just as a cookie should. 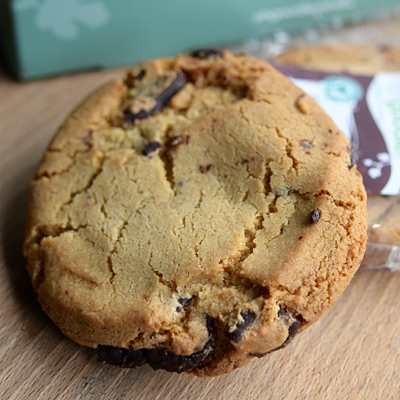 We’ve used whole chocolate discs in this Great Taste Award winning cookie and only natural ingredients.